We are delighted to advise the community that Magen Avot was accepted as a member shul of the United Synagogue on Monday 10th July 2017. We would like to take this opportunity to thank the United Synagogue which has been generously supporting Magen Avot financially and in many other ways since our inception, for which we are immensely grateful. We are also, of course, enormously grateful for the magnificent support of Chief Rabbi Ephraim Mirvis, whose presence and guidance has done so much to enhance our shul. Annual membership subscriptions are £250 per adult which includes membership for children under the age of 21. With regard to the US Burial Expenses Scheme, for a period of three months only, new members will not have to pay the usual Burial Expenses Scheme entrance fee that applies to applicants over the age of 40. Full details about membership and the US Burial Expenses Scheme, including exclusions, are on the Membership Details tab. We are also pleased to announce our first Board of Management, the first five of whom will comprise the Executive. 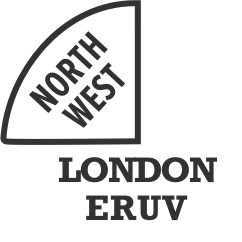 Future appointments will be elected by members of the shul. Please use the tabs above to find more information, submit questions or complete a membership subscription request. Annual FES costs are currently £72 per person or £7 per person for those under the age of 30. Children of members aged 21 and below are covered by the FES of their parent/parents at no additional charge. Under an agreement between the US and Magen Avot if you are currently a US member of Hendon, Finchley or Alei Tzion and wish to transfer your membership to Magen Avot, you will be able to do so from July 2018, one year after Magen Avot has joined the US. As far as we are concerned, even though you will join us formally in a year’s time, we will still consider you part of the Magen Avot family. As is the US policy for any transfer between US shuls if you have not moved home, for the first two years of your transferred membership, you would pay whichever is higher of your current membership subscriptions or the Magen Avot subscriptions to Magen Avot. This is to ensure that members do not transfer shuls only for financial reasons. If you wish to transfer your existing US membership (not including US Finchley, Hendon or Alei Tzion) to Magen Avot you will be able to do so as per the normative US internal transfer processes and policies. Please contact your current shul and give them notice of your request to transfer. You will need to be paid up to date to be eligible to transfer. Please request a transfer form from Cecil Taitz which should be returned to him once completed. As per US policy as noted above if you are requesting a transfer and have not moved home you will pay the higher of the two membership subscription requests for two years. We would be grateful that if you have not already done so and are in a position to sign a US Gift Aid Form, that you do so, as this allows us to reclaim 25% of the amount paid from HMRC. Forms are available on request, please complete the form and scan it back to treasurer@magenavot.com or print it out and hand it to Cecil Taitz. Please note that if your situation changes in the future such that we are not able to claim Gift Aid on your donations, please ensure that you inform us. If you have any queries about membership, please submit them below.